A World War II veteran, Vonnegut is a good avatar for us this week, and not just because of Slaughter-House Five, one of the most powerful anti-war statements ever written. As Jacobin once noted, Vonnegut spoke of socialism as akin to Christianity, was an admirer of Eugene Debs, and urged Bennington students in 1970 to “become less selfish than we are” and to “work for a socialist form of government.” If he had lived to see this year, the 100th anniversary of the end of World War I, Vonnegut would certainly have insisted on calling today by its original name. “I was told I was in this elite unit with elite soldiers. But the men I was surrounded by took active pleasure in killing other human beings and dehumanizing people because they have different cultures or a different religion. I was always told growing up that the US military protects the innocent, that we fight for freedom, truth, and justice. It didn’t take me long to realize that my experiences did not reflect that in the slightest.” Fanning and Rapone have continued their socialist work together, including a joint letter to current troops urging them not to participate in Trump’s anti-caravan maneuvers at the border. Rapone’s description of his journey reminds me of many soldiers and vets I’ve talked to, including his later disappointment with West Point’s complicity in military lies. This week’s holiday is difficult for most of them. I could write all day about their generation of soldier-dissenters; about their testimony, their trauma, their thoughts on war and the future. But today is also for those of wars past, especially those who witnessed the armistice first-hand. For my chapter on those years, I chose Evan Thomas, whose conscientious objection and resistance shaped both national policy and the career of his older brother Norman, later a six-time Socialist presidential candidate; Walter Waters, who fought in the Western Front’s harshest battles before coming home to unemployment and the Great Depression; and NAACP founder W.E.B. du Bois, whose battle for Black soldiers’ rights included an Army commission for himself before realizing his role was to fight from the outside. Before the U.S. entered Europe’s war, Evan Thomas was studying theology in Scotland, not far from Craiglockheart, the convalescent home where Wilfred Owen and Siegfried Sassoon were being treated after horrific service on the Western Front. Talking to his peers in the “No Conscription Fellowship,” Thomas closely followed news reports as men were being drafted throughout the United Kingdom, some jailed for refusing to enter the military. Those conscientious objectors were mocked in British newspapers and attracted angry mobs at jails, but he thought of them as role models. He had learned a lot about the military, Thomas wrote, from the soldiers he met, and from counseling German prisoners of war. The minute a man enlists his mouth is closed for any public utterance. He cannot discuss peace publicly. Nothing is his own, least of all his conscience. Now it is one thing to fight fairly, another to practice all sorts of atrocities. The minute an army starts atrocities, however, the other side feels called upon to do the same. Therefore any decent man, let alone a [Christian], is called upon often to do things he abhors. To his family in New York, those “practical steps” felt far away. “Citizens’ Preparedness Marches” filled cities, and President Wilson Wilson’s pitch for the coming election was simple: re-elect him, and by keeping America strong. That promise garnered newspaper endorsements, but not from everyone who’d supported him in 1912. The newborn Civil Liberties Bureau, with Norman Thomas on its board, had started as a project of the American Union Against Militarism; divided about Wilson’s war, the AUAM had come to consensus that whatever they thought of the war, they had to support the conscripts seeking help. These young men wanted to be declared “conscientious objectors” by the military, without having to go through the trials of Cyrus Pringle during the Revolution or the Civil War’s Jesse Macy. President Wilson and Secretary Baker were already aware of, and somewhat sympathetic to, venerable peace churches such as the Quakers, Mennonites, Hutterites and Seventh Day Adventists. Thus, the Selective Service Act acknowledged the members of “any well recognized religious sect or organization present organized and existing and whose existing creed or principles forbid its members to participate in war in any form,” who were nonetheless declared subject to “service in any capacity that the President shall declare to be noncombatant.” Between May 1917 and November 1918, nearly 57,000 of the 10 million men receiving letters from their draft boards sought and gained official conscientious objector status. One objector, Oklahoman Henry Becker, came from a German immigrant family who were members of the Mennonite Church. “We didn’t think Wilson would go to war,” Becker said of the president elected in 1916 on an anti-war platform. When the reverse happened, Becker obeyed government orders and showed up at Camp Travis. Unlike many of his fellow Mennonites, Becker put on the uniform when ordered, and didn’t pass out when the drill sergeant howled: “Now we’ll separate the sheep from the goats!” Soon, Becker joined hundreds of COs scattered across the training camps and military prisons of America. Many, like Becker, were put to work building the camps. Some refused to do even that, not wanting to serve as enablers for the military machine: 3,989 men spontaneously declared themselves to be conscientious objectors when they reached the camps, only 1,300 choosing noncombatant service. Nearly 1,200 other objectors spent at least some of the war on their own land, on “farm furloughs,” which allowed some objectors to count some portion of work on their own farms. 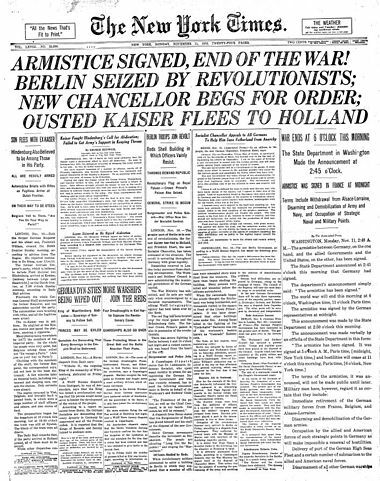 The crackdown included the press, much to the distress of newspaper editors like W.E.B. du Bois. The Postal Service refused to mail “disloyal” publications, such as the Milwaukee Leader, edited by socialist Congressman Victor L. Berger, and the Black newspaper The Messenger, the home of A. Philip Randolph. After being warned by the wartime Committee on Public Information that Crisis’ mail privileges were in jeopardy, DuBois toned down his rhetoric and wrote the controversial editorial “CLOSE RANKS,” urging Blacks to support the war and to believe Wilson’s promise of that year . He even signed on to promote a short-lived NAACP initiative to strengthen African-American communities through military sponsorship , and was offered and accepted a commission as a military intelligence officer. The appointment was reversed almost immediately. amid objections from the NAACP’s anti-militarists on one side and of Southern military officials on the other. Meanwhile, Norman Thomas was torn between his brother and hundreds of others begging the Civil Liberties Bureau for help . Both the latter and the Bureau of Legal Advice—run by Frances Witherspoon of the Women’s Peace Party—were flooded with reports of harsh tactics implemented with eagerness by officers anxious to show how tough they were. Some abuse was indirect: Fort Riley objectors were forced to watch as thirteen Black soldiers, charged with a range of offenses, were executed by hanging, as a lesson to all malcontents. Other commands were not nearly as subtle. After refusing to work during basic training, Thomas led a hunger strike until Norman Thomas and their mother, Emma, arrived. [i] After much negotiation and pleading, Emma (who stayed at camp after Norman had to return to New York) wrote with satisfaction, “When I left Evan this evening he was eating supper.” That did not stop Evan’s arrest a month later, his conviction at court-martial, and his transfer to Fort Leavenworth on October 19. Advocates kept pressing for all the CO’s in the facility to be released: “Whatever the particular charges on which they were sentenced,” The Civil Liberties Bureau wrote to Wilson and Baker, “they are imprisoned for one reason only and that is their steadfast refusal on religious or other conscientious grounds to accept any form of conscript service under military authority.” Why not honor their religious freedom? While waiting for an answer from Washington, advocates pored over the prisoners’ military records, looking for any other reason to release them, and succeeded with Thomas: A military attorney, hired to review Thomas’ Fort Riley court-martial, found slipshod practices and inadequate evidence of guilt. Thomas was back in New York by Christmas, though under protest and determined to keep fighting for the release of the others. Evan Thomas went on to help found the War Resisters League with his friend Abraham J. Muste, with whom he also helped organize the Amalgamated Textile Workers of America. Walter Waters came home to West Coast labor strike and then Depression-era unemployment, which led to Waters’ leadership in the Bonus Expeditionary Force: tens of thousands of then-young veterans who descended on Washington, demanding compensation for their labors. W.E.B. Du Bois, of course, continued the struggle through many more wars. I’m hoping that this year’s Armistice Day will include all these dissenting soldiers, for their contribution to what we now understand about militarism and injustice. Their descendants are the new veterans of the Forever War, with whom solidarity feels both welcome and essential. Chris Lombardi is a managing editor of DSA Weekly. A working journalist, she is also the author of the upcoming book I Ain’t Marching Anymore: Soldiers Who Dissent, From the French and Indian War to the Forever War (New Press).